The ability to work on various tasks, making necessary repairs, and even assembling new furniture will require using some basic tools. If you have any problems and the fix requires a using tool you do not have, then this could be an issue. You really need some basic hand tools to use when a situation arises. And, it will. 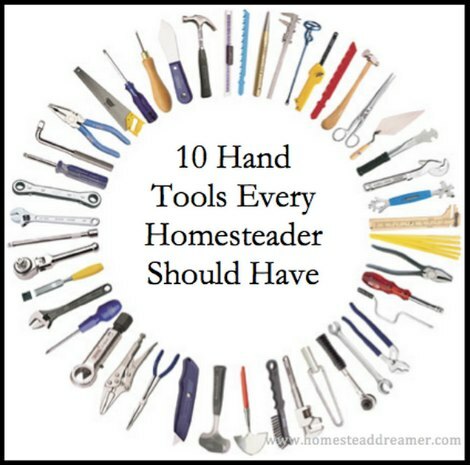 You may not know the best tools to have on your homestead. This is often the reason why many people usually end up with a large collection of tools. There is no need to spend money on tools you do not need or have no area for them. A lot of hand tools you need can easily be kept in a drawer. Some tools may need to be stored in a closet or out in your garage or shed. A few hand tools might not be small. One example of this is a shovel used for moving snow. This will be important if you live in an area that gets a lot of snow during the winter. However, some hand tools that are the most common can easily be kept in a toolbox or other dedicated area. People who enjoy shopping may not consider shopping for tools to be a fun activity. However, the best types of hand tools will be found at a home improvement store. This place has a lot of products for any homeowner to use to complete numerous projects on the homestead. You may discover buying a set of tools is a better option than buying them individually. Some hand tools come in a set because different sizes are beneficial. You can often find better deals when buying sets of tools.